In 1914, all the leaders of Europe knew the outbreak of war would be a total catastrophe. Yet World War I began and set in motion a chain of catastrophic events. As relations between the United States and Russia get worse, the possibility of war looms closer over the horizon. Both Russia and America have reasons to be unhappy with each other since 1991. The massive American intervention in the 1996 Russian elections remains a major issue. America's violation of its solemn pledge not to expand NATO is another issue. Today there is a controversy over alleged Russian efforts to interfere in America's 2016 elections. We are not here to litigate who is right and who is wrong. What we urgently need to do is to create a means by which Russia and America can create a means for frank but peaceful dialogue, moving towards a reduction of tensions. There was recently a petition published in the Nation magazine that highlighted the importance of fostering a peaceful dialogue between America and Russia. This petition has numerous prominent signatories, including Noam Chomsky, Stephen Cohen, Reverend Jesse Jackson and Michael Moore. The world cannot afford a new Cold War. A hot war would be a disaster that would certainly bring down a fragile world economy. A nuclear war would end life on this planet. Sanctions are not a path to peace. Sanctions are an act of war. And the United States needs to stop passing sanctions against Russia, which can only serve to further erode our relationship and potentially lead to war. The recent U.S. decision to pull out of the 1987 Intermediate-Range Nuclear Forces (INF) Treaty is also an act of dangerous insanity, that brings the U.S. and Russia closer to war. Russia currently has the largest arsenal of nuclear warheads on the planet, with about 8,000 weapons in their arsenal (the U.S has around 7,000). They are the only country in the world capable of wiping out the United States in 45 minutes. So this is a very real threat that cannot be taken lightly. There is also the fact that both nations only have about 30 minutes to react to a possible incoming nuclear missile. And the reality is that it would really only be 15 minutes (if we want to react in time).So are we really ready to respond to an incoming nuclear threat in 15 minutes? That is doubtful. There are those who say a nuclear war between the United States and Russia would never happen. That Russia would never strike the United States, because that would surely mean their own destruction. But we shouldn't be so sure. Will the Russians retaliate if we box them into a corner? Putin himself has said several times that they would. Furthermore, it is a dangerous fantasy to believe that wrecking the Russian economy will lead to peace. It could lead to a Russian leader far more dangerous than Putin. The end of the Cold War was a huge victory for America, and the hard won peace between the U.S. and Russia helped usher in an era of global peace and prosperity. But now that era seems to be coming to a close. There is nothing that America can gain from a hostile relationship with Russia. We are not saying that America should tolerate outrageous behavior from Russia, or from Russia's allies in Syria. However, there is a difference between being tough and suicidal. There is hope. Hope for peace and prosperity. But in order for this to happen, Russia must be integrated into a system of global security. Far more efforts should be made to resolve the situation and bring Russia back into a cooperative relationship. That's the bottom line and failure to do so has the most ominous dangers for America. Things escalate. Things get out of control. One action leads to another action. That's the lesson of history. So we have some suggestions below on how to improve relations going forward. The Intermediate-Range Nuclear Forces (INF) Treaty is an arms control treaty between the United States and Russia. The INF Treaty eliminated all of the two nations' land-based ballistic missiles, cruise missiles, and missile launchers with ranges of 500–1,000 kilometers (310–620 mi) (short medium-range) and 1,000–5,500 km (620–3,420 mi) (intermediate-range). The treaty did not apply to air or sea-launched missiles. By May 1991, the nations had eliminated 2,692 missiles, followed by 10 years of on-site verification inspections. William Perry, former secretary of defense under President Bill Clinton, helped unveil the 2019 iteration of the Doomsday Clock. According to him, the decision to pull the United States out of the INF will make the world less safe than it was a year before this happened. (Truthdig). For the interest of U.S. national security, along with global security, we strongly urge the President to reconsider this decision and to rejoin the INF Treaty. We call on all reasonable people to support an internationally supervised plebiscite in Ukraine to help the different provinces to decide their own future. The situation in Ukraine is an ethnic conflict between ethnic Ukrainians and Russians. We have both Ukrainian and Russian friends. We need a road to a peaceful future for all. Why not give peace and democracy a try? A case study of what not to do is more sanctions. The current sanctions campaign has escalated problems and solved nothing. More sanctions are a road to war. We at World Future Fund understand President Trump's activity in Syria was done for the purpose of preventing a future chemical weapon attack against the people of Syria. But pledging to launch missiles every time one happens brings the world's nuclear super powers of the U.S. and Russia closer to war. We are glad the April 13th missile strikes were not as lethal as they could have been, and that they did not start a war with Russia. But we believe there are other ways to deter the Syrian regime from using chemical weapons. Russia and America need to work together to figure out what is going on. What we suggest is the creation of an international chemical weapons monitoring task force in Syria to investigate and prevent chemical weapons attacks in the future, so there is no need for missile strikes. This could be done with coordination between the U.S. and Russia. Appoint a Special Ambassador to Russia to review relations between Russia and the United States. Create a hotline between America and Russia on Syria to make sure there are no confrontations between troops. So there is a crucial choice here. A choice between war or peace. With America and Russia there are going to be differences, but that doesn't mean there needs to be war. And this is a war the planet cannot afford. NOTE: Some of these reports were written during the Obama Administration, but the facts mentioned within are still relevant. But today the threat looms closer than many people think. Nuclear War in the USA, What's in it For You? Today much of Washington is in a war fever against Russia. People should understand what is at stake. 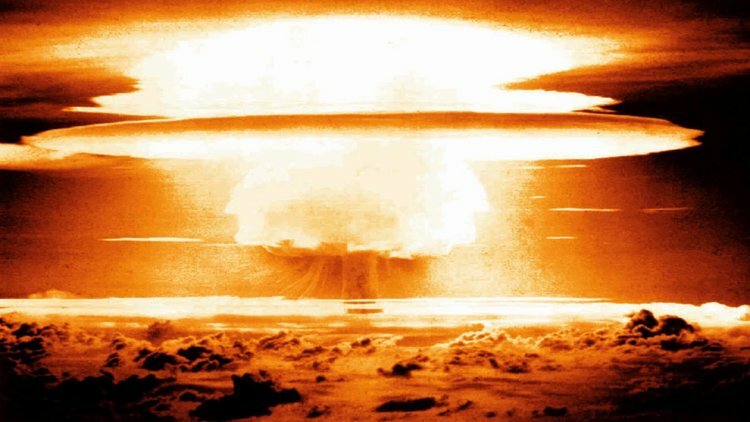 Click here to see what would happen if there was a nuclear attack in your neighborhood. If President Donald Trump decided to launch a pre-emptive nuclear strike, would anyone have the power to stop him? The answer is no. 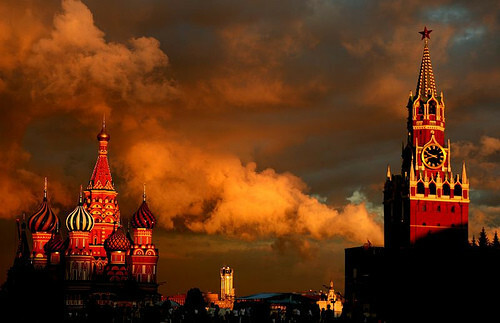 Russia is unlike any other country on the planet. They are the one country that has enough nuclear weapons to wipe the United States off the face of the Earth in 45 minutes. Can the United States afford to continue with its aggressive stance toward Russia? We think not. One of our top priorities is to stop the escalation of a new Cold War between Russia and the United States. If you are part of an organization that is working toward this goal, be sure to check out our grants. This report includes an important petition from leading Americans that was published in the Nation magazine Common Ground: A Pledge For Secure Elections and True National Security. This petition does not cover all the issues at hand such as specific solutions to the Ukraine crisis but it is a solid start to explain what is at stake in relations between America and Russia. Back in World War II, America broke its promise to Russia to open a second front to aid in the fight against the Nazis. As a result, many Russian lives were lost, and there has been a deep distrust against the West ever since. There should be no dispute. There is not a shadow of doubt that Russia was very specifically promised that NATO would not expand by both America and Germany.